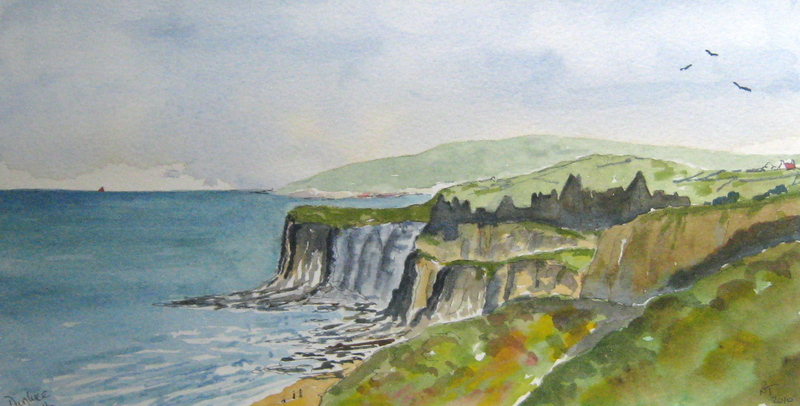 The summer has seen us take short trips to France, and Northern Ireland. 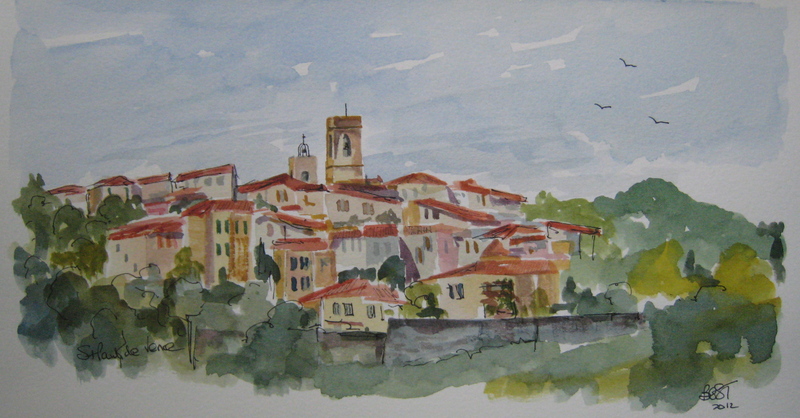 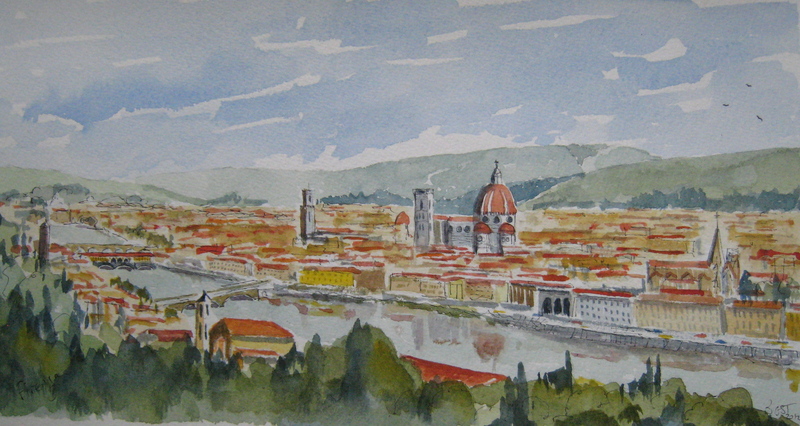 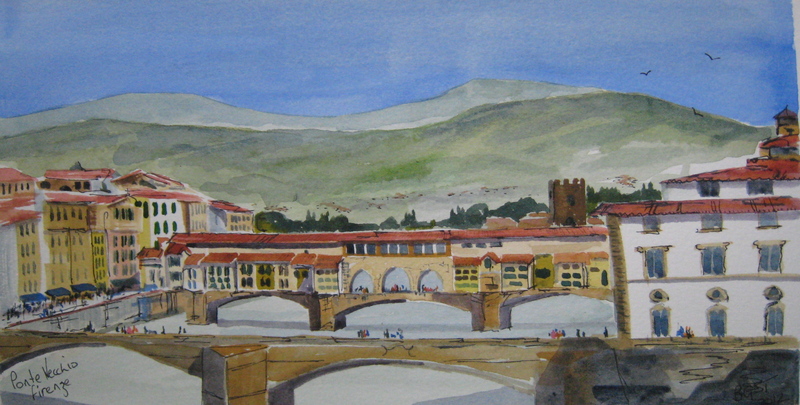 There have been a few opportunities to paint quickly and also to paint a couple of watercolours from photos of Florence, as my son and his wife had just visited there and it is always nice to remember times that we spent there. 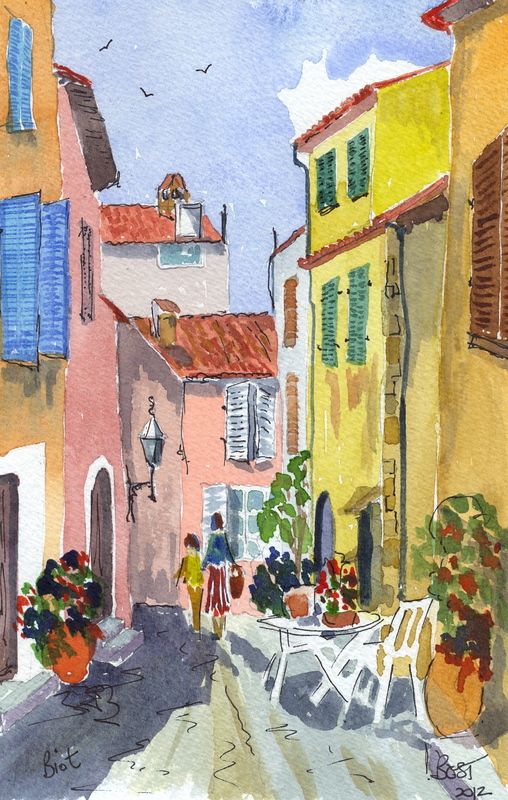 At least in France we had some sun, a rare thing it seems in the UK this year! 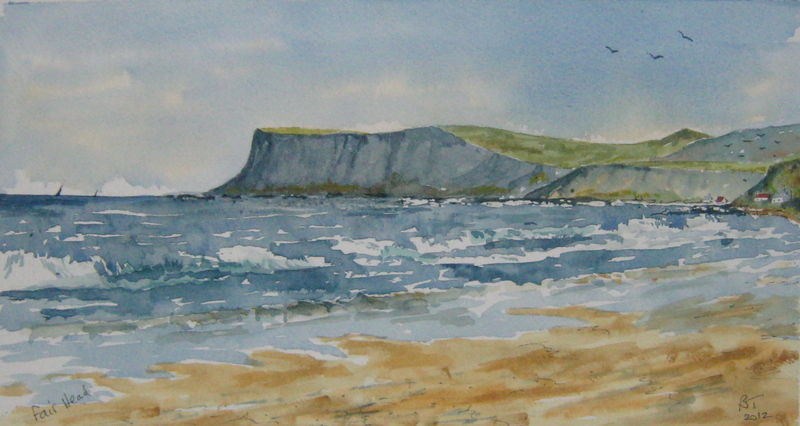 Maybe if the weather improves we will be able to get outside to paint, if not its back to the photos!
. 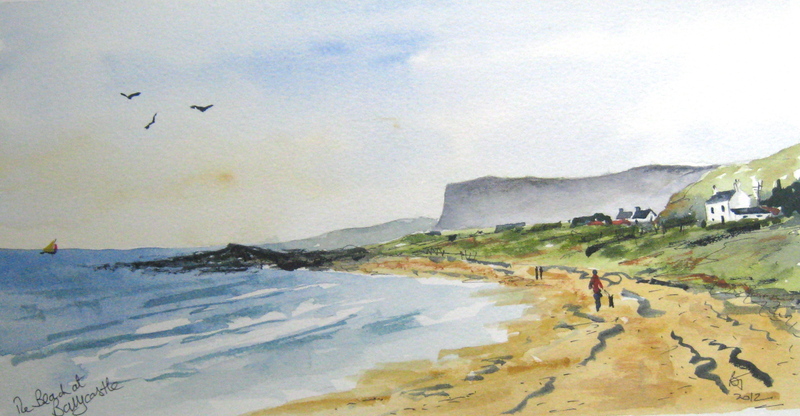 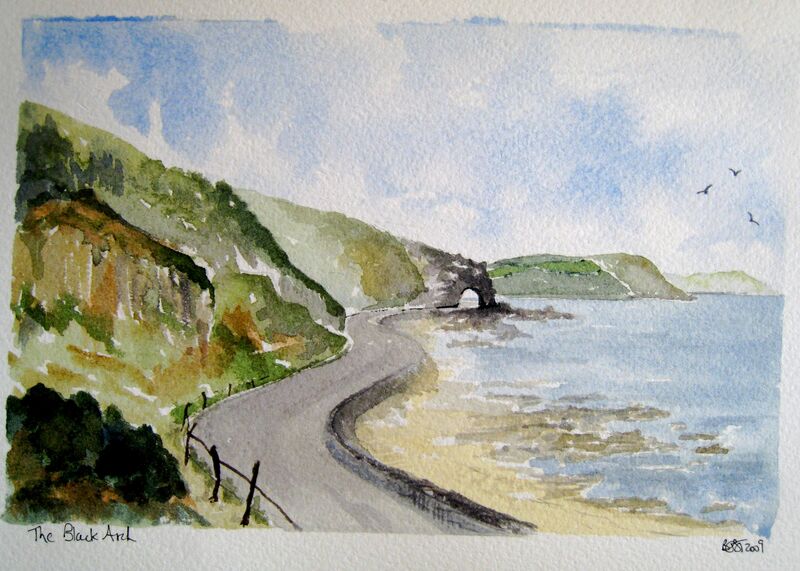 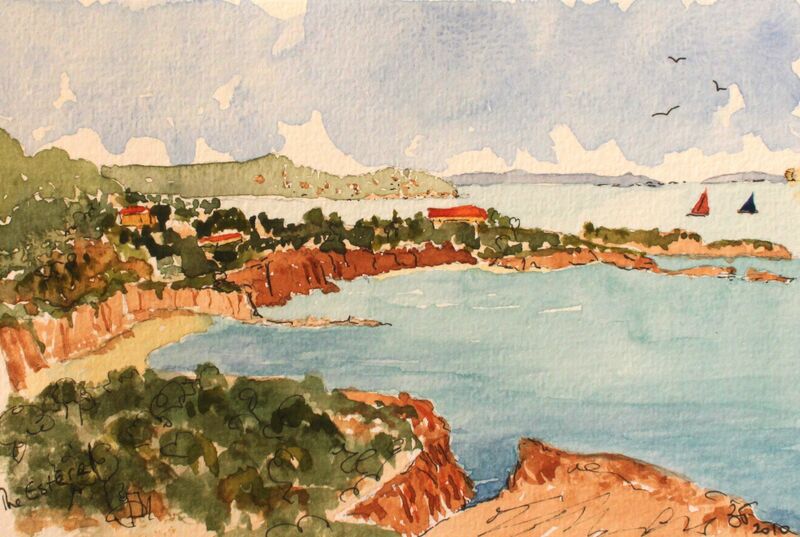 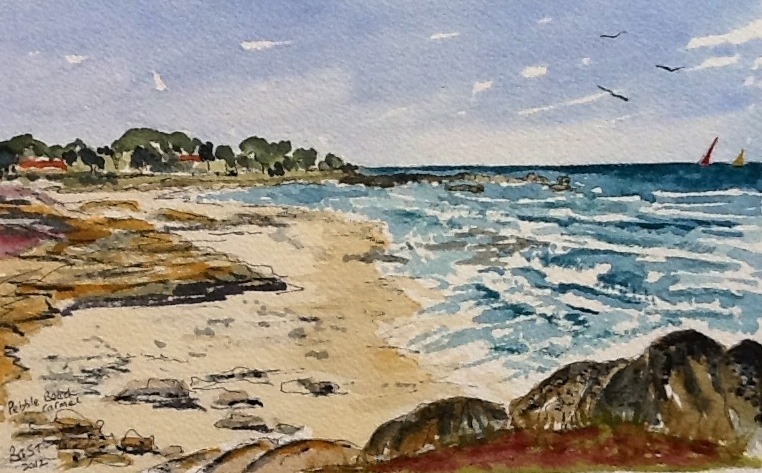 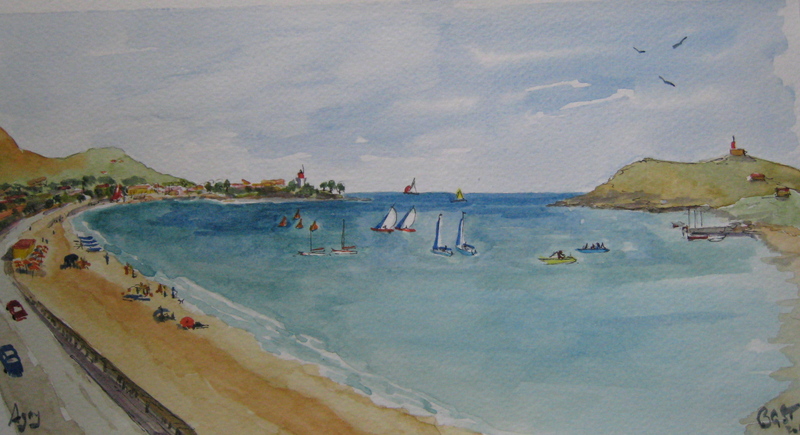 I have repeated a couple of previous paintings of these three coasts here to remind us of their beauty.